It has never been an easy feat to start a business especially during a period of tough time and uncertainty. Business owners face many challenges regardless the size of the startup or business. One of the challenges is cash flow issue. There are many attributing factors to this issue and you can eliminate one of these factors with this book by understanding your dollars and accounts properly. Do you want to learn accounting quickly and with ease? 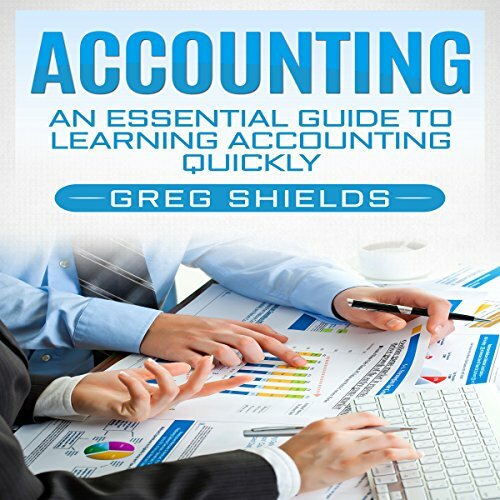 This accounting audiobook could be the answer you're looking for…. 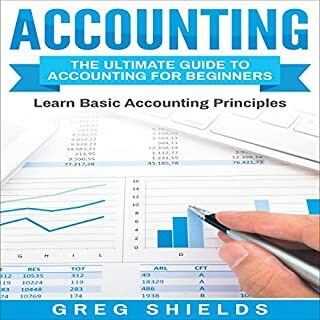 Listen to this audiobook now to learn more about accounting! It took commercial accounting changed this year with a different book and struggled the entire semester. 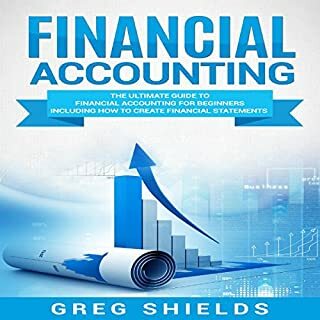 this book makes accounting understandable and puts the material in formats that are easy to comprehend. I am very satisfied with this product. I LOVE this book. Chapter 16 at 7 minutes and 21 seconds... I died! Seriously though, it is ok. Even though I totally hate accounting, this book was pretty great. The writers do an excellent job giving examples and also have indirect stories of groups that link to what you're learning. Works perfectly with my coursework. The best part was all the practice likely at the end of the book. 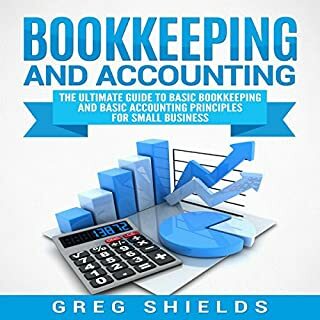 If you require any accounting book from well-known writers that is well written, I'd suggest this book for you. Honestly, a lot of the concepts are essential in this book and so it will probably help you further. Although this Audiobook is great! Very well-written and simple to follow. Accounting can be a very bland subject but this book puts it into terms that the college student can understand. Highly recommend. This book will assist you to gain a knowledge of the whole purchase and accounting world that you did not know existed before.This one is a keeper. 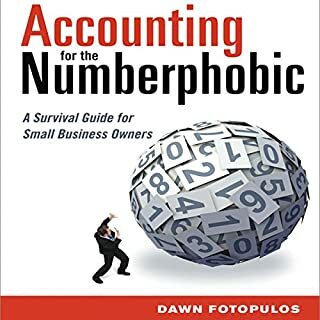 Great book on accounting. Clear and accurate. Knowledge Examples. Application. After studying the book you know things and you also know how to put them into practice. It gives you a lot of basics on accounting. Full stars well deserved.Provides the more in-depth understanding of accounting. The leading and supplies in the book have been verified useful and helpful for my desired major in business with a minor in accounting.This book includes a great deal of information, and an excellent reference guide to better solve problems. Great tool to go back to for help. It is wonderful! Seeing as I am taking this class for college it is more difficult than Accounting back in high school. Definitely, do the practice problems.if you're looking for the presentation to the standard college financial accounting class, this is a good choice. Arrived quickly and again, the phenomenal price for this level of instruction and organization. Helped me learn to account! Great for those in accounting classes.Very excited when it came in. Covers every topic. Just wish it had exams for you to do.Bought this item as an on the job reference tool. Great book. It is only 2 and half hours but, boy does it give a lot of information. 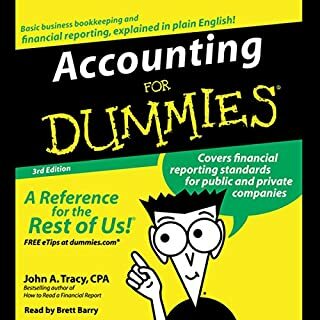 I have found this book to be a great means in my training of accounting. It's easy to understand and lots of fun to read. The end of the book also has some online resources and I have tried one the author's blog. I love it because I need it. I was need an elementary accounting book that made it simple to understand. I searched kindle then came here and find this audible. I bought this and I understand it fully now. Good book like an accounting class book. I would recommend to everyone taking accounting classes these days. This abridges the substantial for easier preoccupation but can be too vague. This is a great supplement and can be an impartial if you just want rudimentary information to help you speak to CPA's. It will not do the trick if you are looking to learn how to do accounting on your own. The book is good and well described the topic like a teacher. But in my view its a bit lengthy as a junky professor in college or university stretches its lecture. It can be sum up in maximum two hours but its touching four hours. No time to listen it again and again. This audible is my assistant now. This book is eccentric, if used in the proper framework. 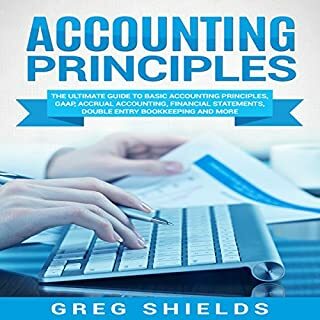 This book assisted me put positive descriptions or perceptions of accounting finance into viewpoint, that were primarily problematic to understand in a logical manner. So, threw quarters of the way through, the narrator uses is an expletive, along the lines of "Have I f***ed up?" and continues on. I'm not sure that was meant to be in the final edit. Anyway, fantastic book overall, full of relevant and useful information, some or it irrelevant depending upon company formation however, if you are studying an accounting or finance degree I'd highly recommend.